Dance and team warm ups and cover ups. Most can be customized with team names, team logos and more. We have warm ups that can be ordered in your team colors. Custom warm ups are also available. Contact us for more information. This soft knit bodyshort has a snug fit, featuring a ribbed foldover waist and hemline. It adds warm texture to rehearsal outfits and retains elasticity over time. Step up your athleisure game with this relaxed side slit harem pant. Whether you are sweating it out in the studio or running to your next class these pants will get you there in style. Keep muscles warm before and after performance or rehearsal with these booties. 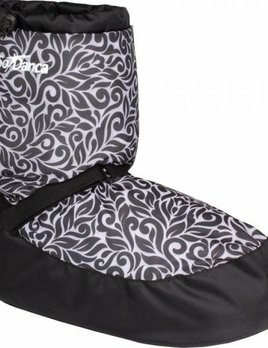 Can be worn on bare foot, or over dance shoes and features a non-slip cushioned sole for optimum boot-to-floor contact and balance distribution. Keep muscles warm before and after performance or rehearsal with these booties. Can be worn on bare foot, or over dance shoes. Hipster short is made of 84% acrylic and 16% nylon to form to the body and hold its shape. Layer these shorts over tights and a leotard for a cute warm up look. 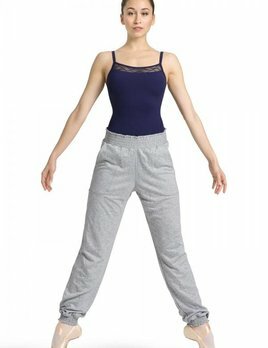 Cable knit draw string short is made of 100% Cotton and is the perfect layering piece for dance. Use them as a cover-up or warm-up accessory for hips.